The struggle for market share in the Islamic Republic is intensifying in anticipation that the sanctions will be lifted. Russia's ambassador to Iran Levan Dzhagaryan talks about what is doing to keep up with its competitors. As the Iranian nuclear problem heads towards a settlement, the struggle for access to the Iranian market is heating up. In this interview, Russia's ambassador to Iran Levan Dzhagaryan talks about Moscow’s strategy to tackle competitors in the country. He also commented on reports about a possible oil-for-goods deal between Russia and Iran. At a meeting with Iranian Foreign Minister Javad Zarif, Vladimir Putin expressed his disappointment over the decrease in trade between Russia and Iran. What is the cause of the decline? The main cause is the unilateral sanctions imposed on Iran by the US and EU countries. We believe these measures are illegal, as we repeatedly have told our Western colleagues at different levels. Some major Russian economic operations and banks do not want to come to Iran because of the threat of sanctions. In addition, our businesses are not able to work for pay in dollars or Euros for objective reasons. Will the partial lifting of Western sanctions against Tehran help restore the growth in trade between Russia and Iran? This process, of course, will benefit our trade and economic relations. But it is not just about the gradual lifting of sanctions, but also about releasing Iranian assets that had been frozen in a number of banks (worth $4.2 billion). With this in mind, leading Western and Asian companies are already showing interest in the potentially very attractive Iranian market, and are attempting to stake a claim for it. So we are not sitting idly by. Do I understand correctly that Russia is primarily interested in ramping up talks on supplying Iran with their equipment, metals, and grains? Yes, and we do have something to offer Iran, mainly ferrous metals, timber, grain, mineral fuel, and electrical goods. We also have machinery (turbines, compressors, pumps) and machine tool products. And is Russia ready to once more start investing in Iran's oil and gas sector? LUKOIL already appears to be showing interest. Yes, that's right. 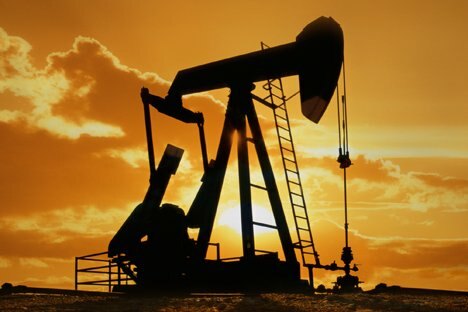 As far as I know, at the end of February, the Iranians intend to introduce new conditions for Russian and other oil companies to work on their territory. If these conditions are attractive, then, of course, our companies will return. The United States expressed serious concerns about the possibility of Russian companies buying Iranian oil. Is Russia obligated to take these objections into consideration? I think our colleagues have somewhat dramatized the whole situation and are wrongly accusing us. We, of course, listen to what they tell us, but we will make a decision solely on the basis of our national interests. What are the general prospects and scope of this deal? No agreement has been signed yet, we are still negotiating. But I will emphasize again that not only Russian companies are showing interest in Iran, but also their competitors from other countries, including Western ones. Since November, the Chinese, British, and Italians have visited Tehran. A large delegation of French businessmen went there too. Yes, it seems the only ones who haven't gone to Iran are the lazy ones. Everyone has been there, even wealthy businessmen from countries that imposed unilateral sanctions against Iran and criticized it for several reasons. Colleagues who come here tell me that they flew with a lot of entrepreneurs from Western European countries. What about the U.S. argument that these deals may weaken Iran's resolve to stick to the agreements on its nuclear programme, and thus halt the negotiation process? It seems that our American partners underestimate the willingness of Iran to comply with the agreements on its nuclear program. We have no reason not to trust Tehran. Actually, ramping up sanction pressures against Iran could disrupt the negotiations. Iran is requesting that Rosatom build more nuclear power plants on its territory. Is Russia interested? Operational control of the Bushehr plant was transferred to the Iranians in October, and now the top priority for us is to ensure it will operate stably and securely. As for continued cooperation with Iran in this sector, we have never hid the fact that we are ready to talk about it and that we are having such talks. Are there any preliminary agreements on this subject? Negotiations are ongoing. There are several points that need to be ironed out. Personally, I am optimistic about it. This article first appeared in Kommersant. Read the original in Russian.